What good is having a fast car if the driver doesn't know how to properly handle the thing? To ensure that doesn't happen with Forza Horizon 3, AMD has made available a new Crimson driver release, version 16.9.2, that adds official support for the upcoming Windows 10 title. Flickering display may be experienced on portrait Eyefinity display configurations when launching or exiting DirectX 12 applications. Ashes of the Singularity may experience an application crash when Multi-GPU is enabled in DirectX 12. A small amount of corruption may be experienced in the lower right hand corner of the display on some Radeon HD 7000 series products when playing Deus Ex: Mankind Divided. Small amounts of stutter may be experienced when playing or watching cinematic videos in Deus Ex: Mankind Divided when using AMD CrossFire mode and DirectX 11. HDMI Audio may be lost after resuming from standby on Windows 10 Anniversary Edition. 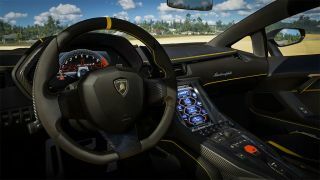 Forza Horizon 3 releases to PC and Xbox One on September 27. The PC version is exclusive to Windows 10, as it's a DirectX 12 title, and requires the Anniversary Update that Microsoft recently rolled out. Recommended specs include an Intel Core i7-3820 or faster processor, Nvidia GeForce GTX 970 or Nvidia GTX 1060 graphics card if playing for Team Green or an AMD Radeon R9 290X or RX 480 if rolling with AMD, 12GB of RAM, 55GB of available storage space, and a 1920x1080 or greater display.